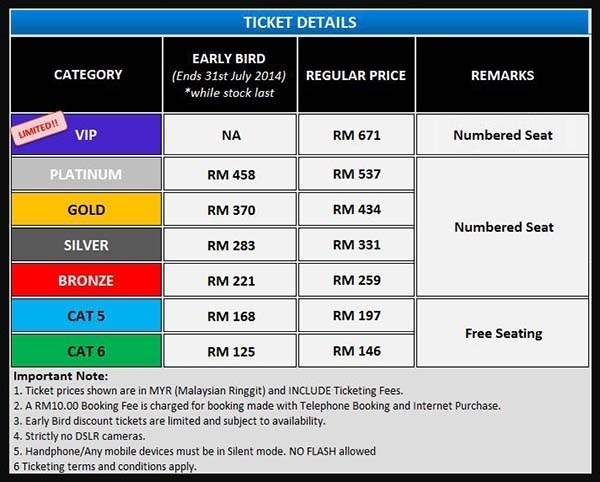 LOL Events & Livescape Asia is proud to present the world’s most enigmatic magician, David Blaine, live in Malaysia on 5th Sept 2014 in Stadium Negara, Kuala Lumpur. 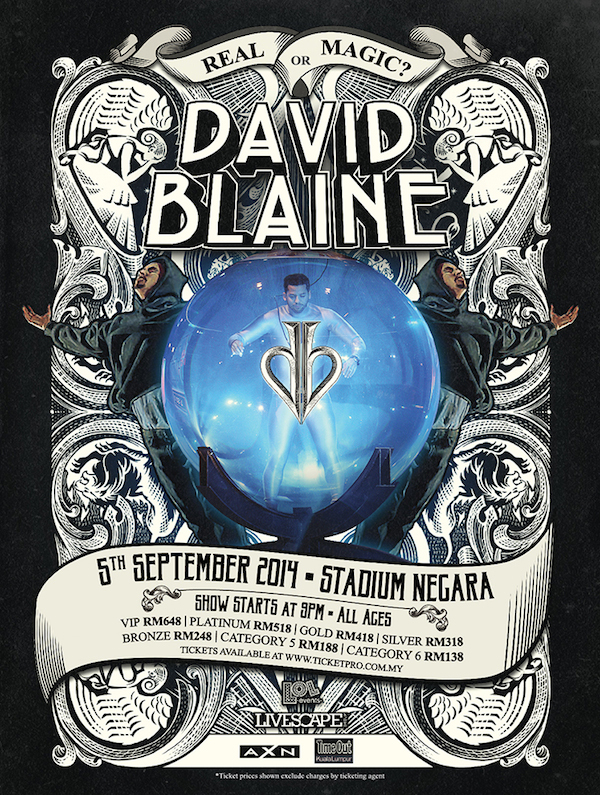 David Blaine is conventionally a street magician who is known for his mind blowing endurance stunts such as “Frozen in Time” in which he was frozen into a block of ice for 72 hours. Other stunts include “Above the Below”, in which he went without food for 44 days and “Vertigo”, where he stood for 44 hours on a 22 inch platform. “Human Aquarium” involved submersion in a water-filled sphere for seven days, receiving air and food through tubes. In a dramatic finale, he failed in his attempt to break the world record for holding breath under water, while simultaneously escaping heavy chains. His television specials have had huge ratings worldwide, his first David Blaine: Street Magic and David Blaine: Magic Man. His recent celebrity packed special David Blaine: Real or Magic had Katy Perry, Will Smith & family, Harrison Ford, Breaking Bad duo Aaron Paul & Bryan Cranston, Ricky Gervais and many more marvel at his tricks. 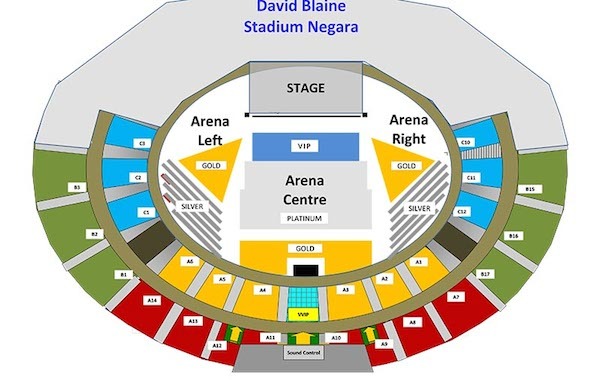 David will now embark on his first Asia tour and will stage illusions and nendurance stunts. He will take the audience on a journey in the 90 minutes performance where the audience will be left guessing if his act is REAL or MAGIC.